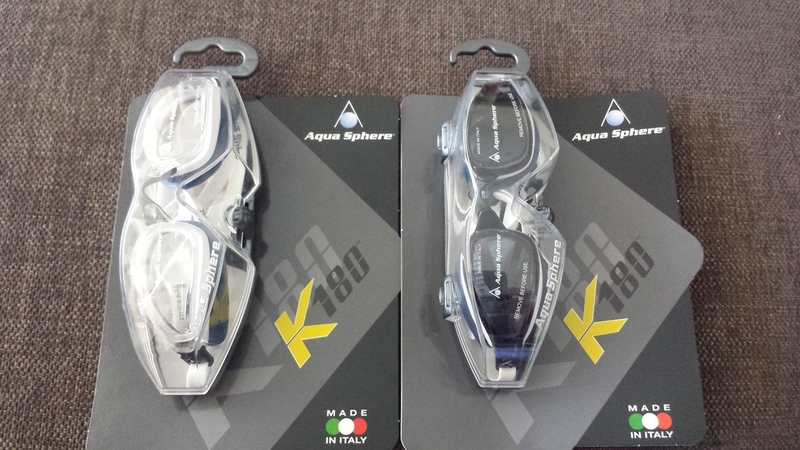 The Aquasphere K180 goggles are designed for triathletes, but with a smaller profile pool style design. Retailing at $39.99, the anatomical shape and curve of the goggle lens are made for hydrodynamics and comfort. With adjustable head straps, full UV protection, variety of colours and interchangeable nose bridges there are lots of good things going for this goggle. The adjustable straps are easy to get the right tension around the head, but the non-swimmer in me still finds it hard to position this type of double strap evenly on my head. Although I never considered myself having a big nose, I also had to switch to the large nose bridge as the lenses sat better on my face. Nevertheless, after some fiddling I was ready for a splash! 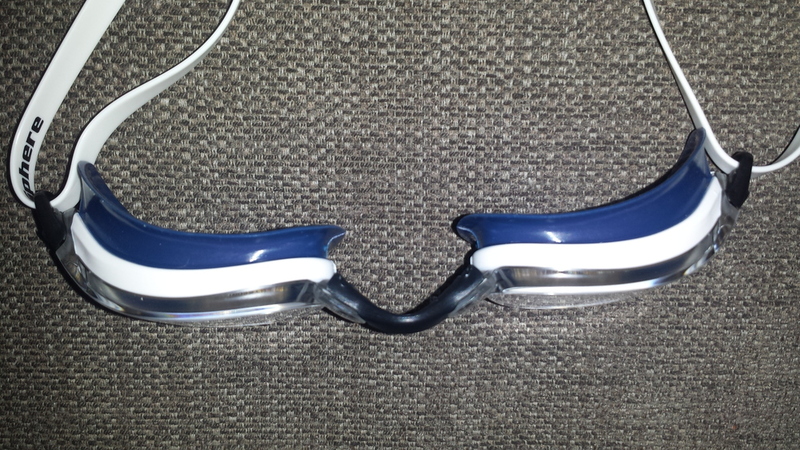 I trialed clear and tinted lens versions of the K180 in both open water and the pool. In contrast to the more traditional, slightly larger and more flexible lens, open water goggle the K180's slimmer design sits well in the eye socket for a smaller, more hydrodynamic profile. The benefit of this is that you don't feel like you have to jam the lenses onto your face for a good seal or feel like your eye balls are being sucked out like a tiny harder profile pool goggle. 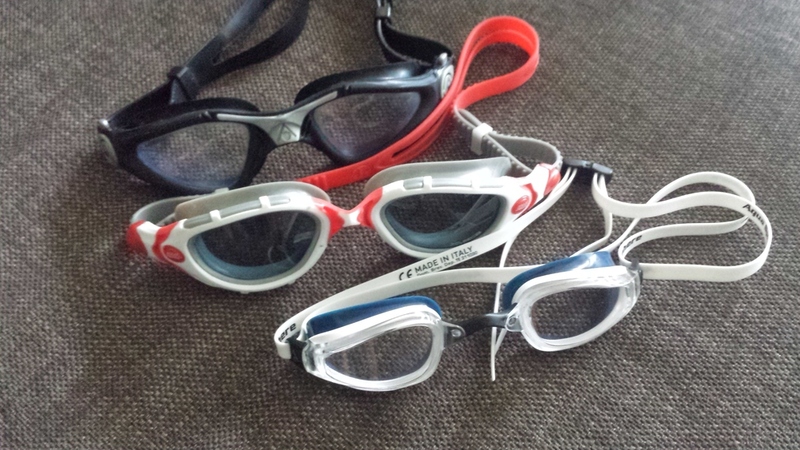 What I first noticed during my open water swim session in the K180 was that the curved lens made it pretty easy to view peripherally when in the water (looking for other swimmers and hazards). The softeril® micro-gasket seal around the eye gave for a great leak-resistant join and I especially noticed its effectiveness when diving into the surf and continually taking my goggles on and off during the intervals. Unlike the larger profile open water goggles, the smaller profile and soft seal meant I also didn't get 'goggle eyes' as badly I usually do. Vision in the open water is a huge priority for me, namely because as a developing swimmer I don't want to waste any time going any direction other than the right one. The vision from the K180's was very clear, but more importantly for me it remained pretty consistent through my swimming sessions. Some goggles tend to fog quite a bit, especially when continuously removing them from my eyes to forehead during a session, the K180 performed well in this department. The only downside was the lack of a photochromatic lens option that alters to the light conditions, like the Zoggs predator Flex, meaning 2 pairs of goggles for different occasions. The Verdict Nobody likes change, but I find goggle choice a bit like your regular coffee shop. You're very comfortable with your current choice, but a bit apprehensive in exploring if there is a better option? With most triathlon technology advancements, we constantly update shoes, helmets, computers, but goggle choice seems to remain pretty consistent in most. Yes, it may not save you 10 minutes by switching style or brand, and I do believe that if it ain't broke don't fix it, but if most triathletes we are willing to drop $200 on each time they try a new saddle, it may be worth the plunge to experiment these great value goggles. Whether you are an open water or pool style of goggle person, I think the K180 is a great introductory step away from the 'scuba mask' and into the smaller profile goggle market. After all, aero is everything!